While we do have some clients who enter a partnership ready and willing to entrust us with their entire annual marketing budgets, we get the sense that most feel that giving a marketing team a budget dollar amount is akin to letting the fox run wild in the henhouse. In truth, giving your marketing team a budget does quite the opposite. Your marketing spend is dependent on your goals — are you looking to sustain business, grow in certain regions, launch a new business unit, etc.? Being able to set a suitable marketing budget is actually a telltale of a well-thought-out strategy. Whether your organization’s marketing arm is in-house or contracted, a budget should be mandatory. A predefined marketing budget sets boundaries, and boundaries are good. Even when we put our creative team to work on dreaming up Big Ideas, we give the team boundaries in the form of strategy. The same applies to your marketing budget. 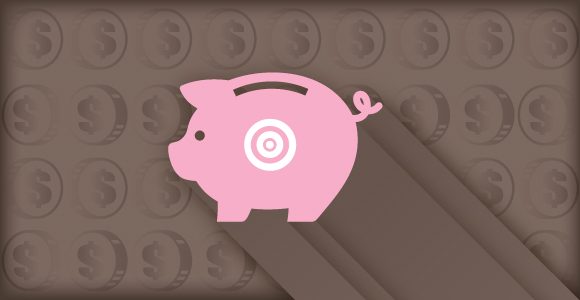 A budget helps prioritize your efforts and sets the parameters for your annual tactical plan. The boundaries that budgets put in place also help combat the risks of overspending and underperforming. Your strategy and budget should be synthesized — strategy should dictate your budget, and the successful execution of your strategy depends on how your budget is utilized. It’s important to understand both to know how much fuel to put on the fire. Perhaps your company lacks an up-to-date website, or maybe you need to establish your presence by attending industry trade shows and events. Having a comprehensive marketing budget compels teams to delineate spending for major components of marketing plans. In doing so, your team can work with an understanding of what the budget permits, instead of approaching initiatives — such as refreshing a website or attending new trade shows — as piecemeal projects. Given a budget, a marketing team’s goal should hinge on maximizing that budget, not spending it. How else can your company benefit from setting a marketing budget? It’s the same advice that came with your weekly allowance as a kid, and rightly so. Diversifying your marketing plan and spend is a smart endeavor when you’re using several channels to engage an audience. A prearranged marketing budget demands that you answer questions like who are we trying to reach, where should we allocate money and when should we spend it? Knowing where your money will be going many months in advance can also set your team up to take advantage of incentives like bulk media purchasing discounts and early-bird trade show exhibition pricing. It’s smart to plan ahead, but plans change. Establishing a marketing budget based on the assumption you’ll meet your sales goals can be scary. But outlining a budget doesn’t mean you’re locking yourself into a binding blueprint. Just like your marketing plan, your marketing budget is always subject to market factors, ad hoc opportunities and other variables at play, and your team should be able to alter it as needed. At the very least, we hold quarterly budget reviews with our clients, regardless of whether they have established an annual budget. Moreover, we generate performance reviews — we call them SCORR boards — to assess and amend efforts on an ongoing basis. It’s another step to keep your budget viable in the long haul. Budgeting is as much about planning as it is about establishing a means of analysis for your investments. Your marketing team will be responsible for tracking expenditures and demonstrating cost-effectiveness. At the same time, your company’s leadership team will be held accountable to follow through with predetermined objectives. What’s your take? How has implementing a budget influenced the way your team works? Let us know in the comment section below!